It will come as no surprise to most of you, that I love a good museum. Oh yes, my wee archaeology heart flips when I see a sign for a new museum to explore. 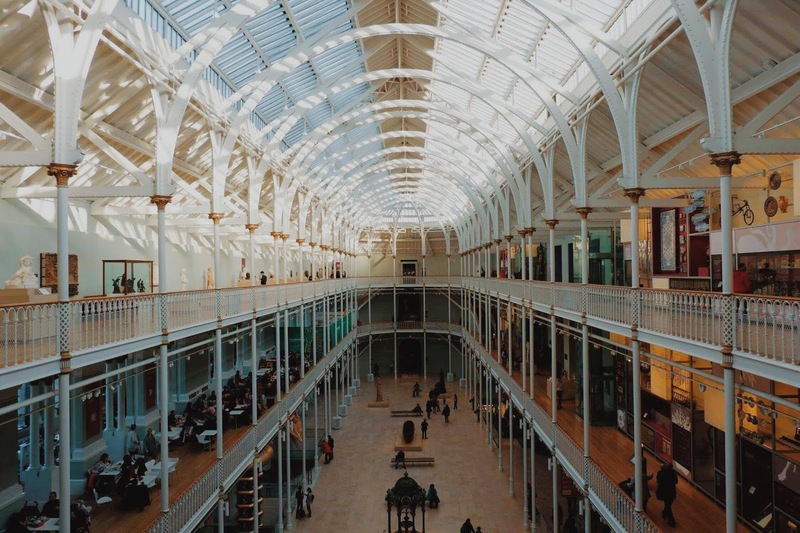 I recently shared about my visit to The Horniman Museum and Gardens in London, and my instagram is filled with visits to the National Museum of Scotland, so today I have a guide to the best free museums in Edinburgh. 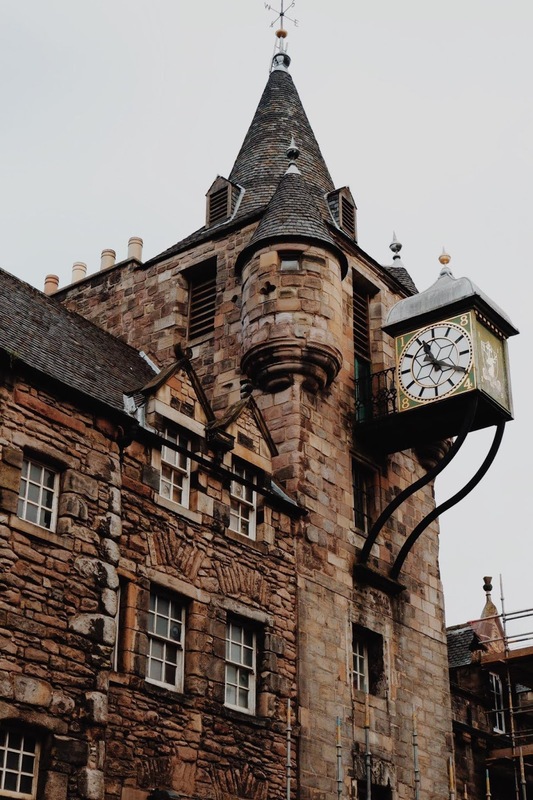 If you've read my post exploring Edinburgh's Royal Mile, then you'll know that Edinburgh has a long, interesting (and often dark) history, that's just waiting to be explored. Lucky for you, Edinburgh has plenty of museums & galleries that you can visit (for free!) to get a taste of Edinburgh's & Scotland's history. 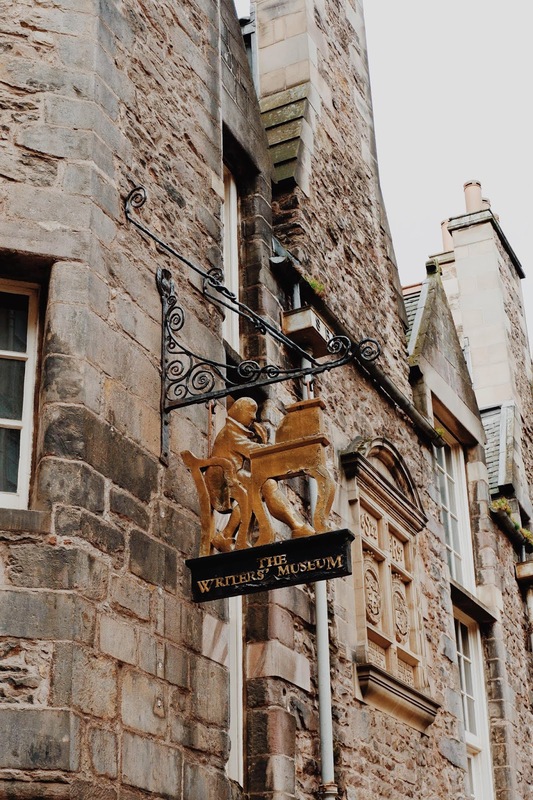 I've compiled a list of 5 museums that you can visit in Edinburgh, for free, so whether you're looking to escape the rain, learn about Edinburgh's past or entertain your kids - this guide is your go to for museums in Edinburgh. The National Museum of Scotland showcases history from both near and far, spanning 9 floors (including the roof top terrace). No matter your interest, you'll be able to find something in this museum with galleries showcasing early history right up to contemporary history, including a poster from Trainspotting. Highlights from the National Museum of Scotland include its roof top terrace, where you get spectacular views across the city of Edinburgh. In the 'Explore' gallery kids and those curious enough can have a go at lifting their own weight, racing in a race car and releasing hot air balloons, and much much more - and you can even see Dolly the Sheep! Make sure you're around between 11.00-16.00, so you can see the Millennium clock come to life as the hour changes. Explore all their galleries and plan your visit on their website. This museum is great for anyone who fancies a trip down memory lane. The galleries are filled with toys of all shapes and sizes, and explores the ways childhood has changed over the years. This is the first museum in the world to explore the history of childhood, and is great for engaging both the young and older visitor. Kids can have a play in the new interactive area on the ground floor, and spot some of their favourite toys on display - such as Buzz Lightyear - while the grown ups can reminisce about their favourite dolls houses, china dolls or playground games. Dedicated to the lives of some of Scotland's most renowned writers, this museum is tucked down Lady Stair's Close on the Royal Mile. The lives of Robert Burns, Sir Walter Scott and Robert Louis Stevenson are explored on different floors of this museum. You'll be able to see some of their early manuscripts and editions of their works, as well as more personal items like family photography and childhood toys, giving you an intimate insight into their lives. Want to get to grips with Edinburgh's history? 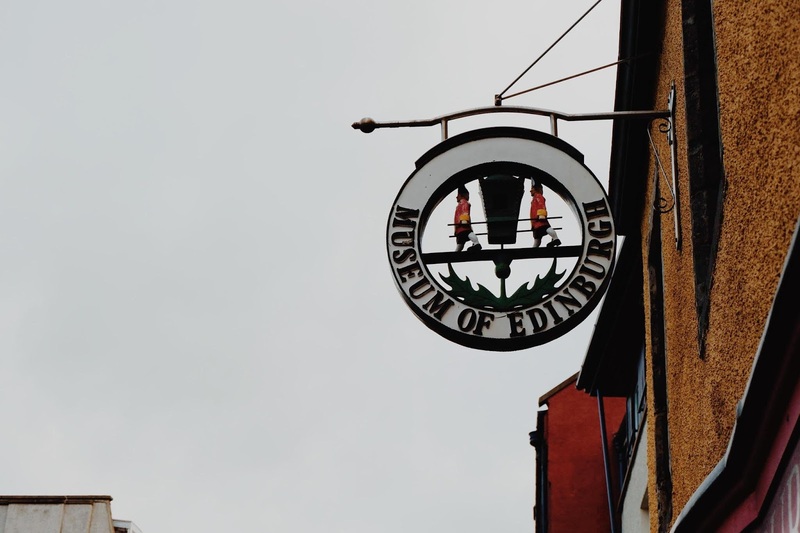 The Museum of Edinburgh takes you through the history of the city from its foundation, so you won't be able to walk the streets without thinking about how the city developed and grew over the years. A favourite artefact on show is the collar and bowl of Greyfriars Bobby - everyone's favourite wee dog. Companion museum to the Museum of Edinburgh, the People's Story Museum (which is handily just across the road) explores what life was like for the working class people in Edinburgh from the 18th to the late 20th century. The museum is organised by theme, and you can get a real feel for what life was like for those living in Edinburgh, through their stories. If you're not scared of mannequins, then you'll love this museum that reimagines the scenes of the city with artefacts, mannequins and sound effects. Have a look at their website for more info. Want to learn more about the history of money? Museum on the Mound is located in the historic Bank of Scotland head office and explores everything to do with money. Not only is this museum a perfect beginners guide to money - from banking to mortgages - you can also try your hand at cracking open a safe, and even see a million pound bank note. Here's their website for more info on their temporary displays! Explore Edinburgh's MUST SEE spots along the Royal Mile here! Those who were paying attention may have noticed I added an extra museum to the list - so instead of 5 museums, you're getting 6 (But since the Museum of Edinburgh and The People's Story Museum are companion museums and just across the road from one another, its a two for one!). 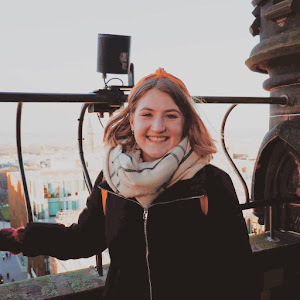 Of course Edinburgh is filled with so many other sites where you can learn about the history of Edinburgh - and don't worry, I plan to fill yet another post with all those must visit spots in the capital. These museums are a great way to spend your day, without worrying about spending lots of money - and if you enjoy the visit, then you can always donate a few pounds on your way out to help keep the running of the museums. These museums are all located within a few minutes walk of one another - so you don't have to worry about trailing far away to hit them up - you could even visit a couple in a day. Its the perfect activity for visitors of any age - the museums all have things to engage younger visitors, as well as parents or grandparents. And if you do visit any of these, then make sure you let me know! Tag me on social media or comment on this post! Wow!! !That's simply awesome!! According to me, Meusium is the package of learn, fun, excitement, secret and also photography.